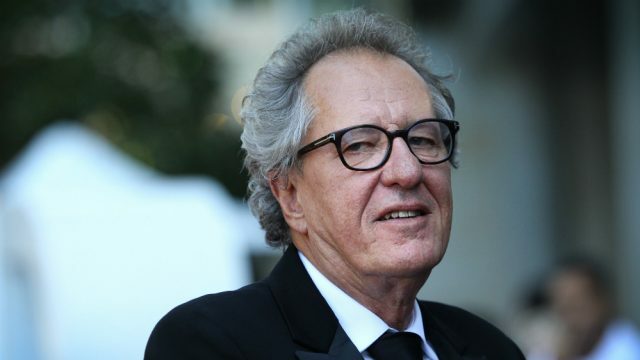 As the headlines roundly suggest, the yoke of suspicion regarding Geoffrey Rush has been thrown off, with the ruling judge deciding that The Telegraph’s Shakesperian criticism was one of fiction, replete with many pages missing. Ostensibly, the court found that there was not enough definition of the moment of the alleged sexual misdealings in order to use it. According to ‘qualified privilege’ (a form of defence taken by The Telegraph), defamation requires a publisher to show the allegedly defamatory articles. With those documents lacking definition, the victorious spoils fall in favour of Rush, with that block of text omitted from future proceedings. In reality, what we have here is a small part element of the case, and we’re no closer in forming a legal opinion on the matter. We, of course, are yet to head to trial. What we know, is not much. However, danger still lurks, as the spectral beast of possibility forces us to speak what we feel. The contents of the legal layer cake is tasty to some, but not all. For those who read the headlines and not the fine print, we’re left with something that requires introspective analysis. A question to be put the jury within. How much furniture of objective truth are we willing to move into a room already wallpapered by our subjectivity? How much of the opposite are we willing to entertain? I put it to the court that we should not make up our minds. Which I realise is difficult, as today’s headline doubles the first measurement of the wave of #MeToo cresting upon our shores, with the tide rolling over Messrs Mclachlan, Burke and Rush. Which leaves the populace with a problem: Ourselves. Regardless of who it is, we’ve all had our suspicions confirmed through the sentences of people who know people regarding who did what to whom. From that, we form the basis of our case. What we’re all ruling over, is trial by anecdote. As soon as we read those letters cast long across the conversation, King Lear became King Leer, as we all crossed over to that place we fear, where suddenly those we adore could become someone we revile. The personal dashing of long-held lofty expectations of someone is something that fries the synapses, and as a result, it pushes us to a place of safety. Be it denial, suspicion or castigation. Slight departure, but consider the lone renegades brandishing placards defending the innocence of George Pell subject to the same condition as those who angrily assume his guilt. We don’t yet know, so we do. While the matter in a legal sense is far from being closed, it certainly is to those who have already ruled a judgement, with today’s gavel ringing long in the hall of their bias. To those, in aid of good, or ill, hopping, voice afire in the kangaroo court of public opinion, it behoves all of us to nail our own feet to the floor, endure the storm within, and wait for the morning light of objective ruling to paint the landscape.